WASHINGTON – The Council for Christian Colleges & Universities supports efforts like the FIRST STEP Act (HR 5682) that recognize the value and dignity with which God has endowed all people. A vote is expected on FIRST STEP imminently. Among other changes, the FIRST STEP Act would help ensure that incarcerated individuals have access to programming, including educational and faith-based programs, that reduces their risk of recidivism and sets them up for success after release. 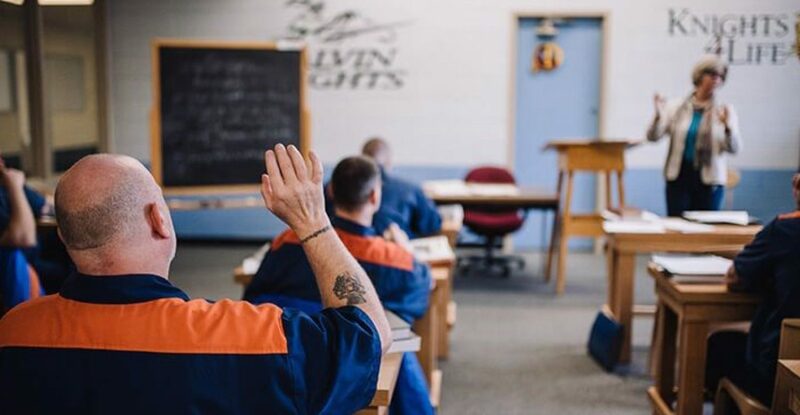 From Mississippi to Michigan, a number of CCCU institutions help provide incarcerated persons access to the transformative effects of Christian higher education. The CCCU joins other faith-based organizations – including Prison Fellowship, the National Association of Evangelicals, the Ethics and Religious Liberty Commission, the National Hispanic Christian Leadership Conference, and the National Latino Evangelical Coalition – in supporting these efforts. The CCCU partnered with Prison Fellowship to promote April as Second Chance Month, a national effort to reduce barriers that keep formerly incarcerated Americans from successfully participating in society. It also supports the REAL Act (HR 254), which would restore Pell Grant eligibility for incarcerated persons.